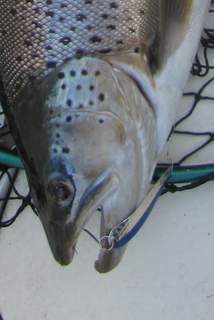 One of the deadliest, early spring brown trout spoons aboard the Fish Doctor is Eppinger’s Jr. Flutterdevle. The only catch is, it doesn’t catch fish unless it’s properly tweaked. When I took my first Flutterdevle from the pak, I scratched my head as I checked out the almost perfectly flat spoon. With little or no action except at very high trolling speeds, I wasn’t impressed. I fiddled around with Jr. Flutterdevles for almost two years with very little success. 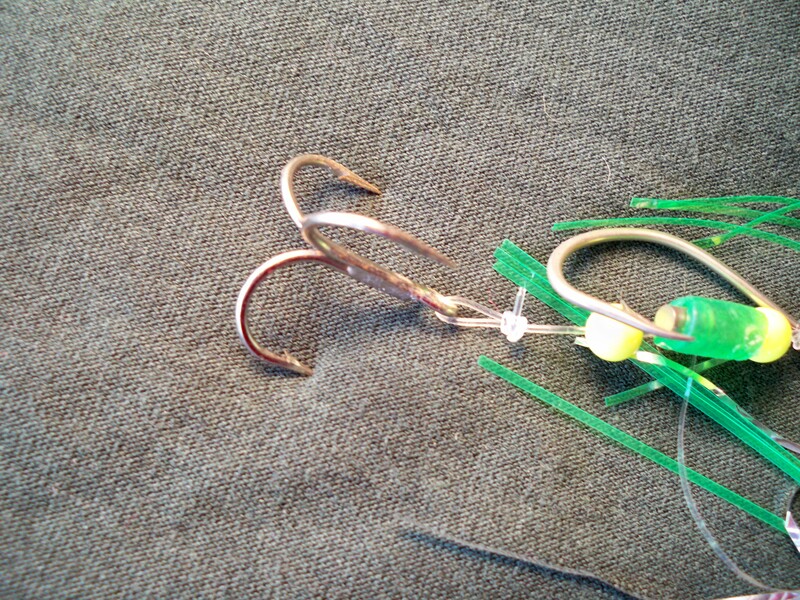 It wasn’t until Karen Eppinger, the company’s president, sent me a properly tuned Flutterdevle with an “S” bend that I finally started catching brown, after brown, after brown on it. To tweak a Flutterdevle with an “S” bend, just smoothly(no sharp bends! )bend the tail of the spoon in the direction of the existing cup, and bend the nose of the spoon in the opposite direction. 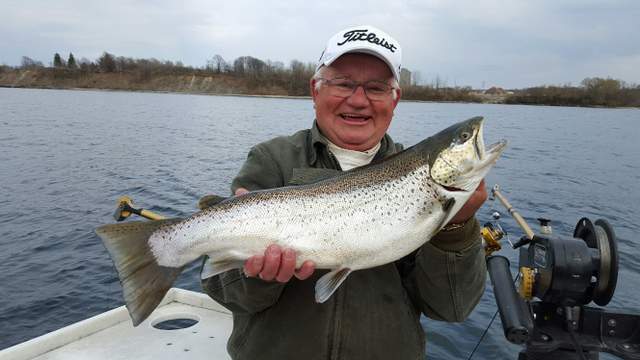 If you’re a Lake Ontario trout and salmon troller one of the things you’ve learned is that little things can make BIG differences! This could not be more true of true of trolling flies fished behind flashers and dodgers. We all know that the color of beads, floaters, and hooks make a huge difference in the effectiveness of a particular fly pattern. But, let’s take it a step further. 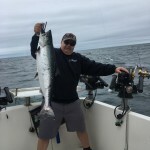 Step aboard my charter boat and on close inspection of the trolling flies used aboard the Fish Doctor, you’ll see one of the little things that has proven to be major medicine in trout and salmon flies. We’re talking about EChips. 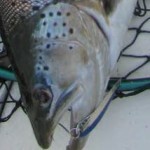 I’m a firm believer that they improve the effectivenss of any fly pattern used to catch trout and salmon . When EChips first arrived on the scene, they were not proven. 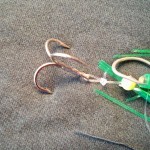 Like any other new fishing gear, if it has potential to catch fish, you give it a good try. The results with ProChip and HotChip flashers were very impressive and these new “electrified” flashers soon proved themselves beyond all doubt. Then the next step…, what about EChips in flies? As soon as single EChips became available I rigged a bunch of my favorite home tied flies and Howie Flies with tournament ties using a combination of beads and EChips. 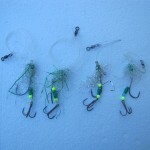 I then field tested them through the season, fishing them along with my standard flies tied only with beads and floaters. 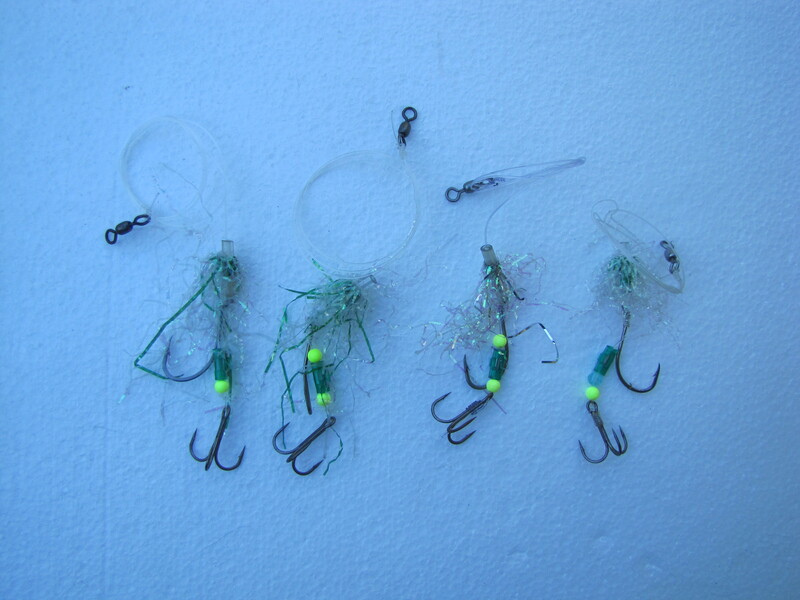 After a few trips I could see that the EChips were producing, but in the midst of the busy charter fishing season couldn’t really do a quantitative comparison between EChip flies and standard flies, even though I could clearly see that some of my hottest flasher/fly combos had EChips in the flies. It wasn’t until the end of the season when I was reorganizing gear and stowing flies for the winter that I noticed the difference. Every single fly rigged with EChips was a warrior, chewed to bits! Many of my hottest flies during the season were EChip flies. Convincing enough that I now rig every fly I fish with EChips! If any species of fish on earth is more selective than a spring brown trout in shallow, crystal clear Great Lakes water, I don’t know what it is. 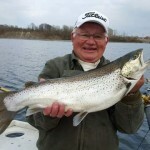 Each spring brown trout season and many, many experiences over the past 40 years have reinforced this fact. 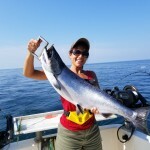 One such experience occurred one morning off Four Mile Point in eastern Lake Ontario. The first couple hours the early morning bite was hot and heavy. Everything my charter I did was right, with brown after brown coming to the net until the rippled lake surface went flat calm. Browns were actively feeding on the surface, but we couldn’t get a hit. That incident proved to me once and for all just how selective a Great Lakes brown can be. Oh, yeah, and by the way…, it was no mistake that they were hitting that Flutterdevle barely below the surface, 100′ directly behind the boat in the prop wash! Strike Vision photo of a musky striking a lure. 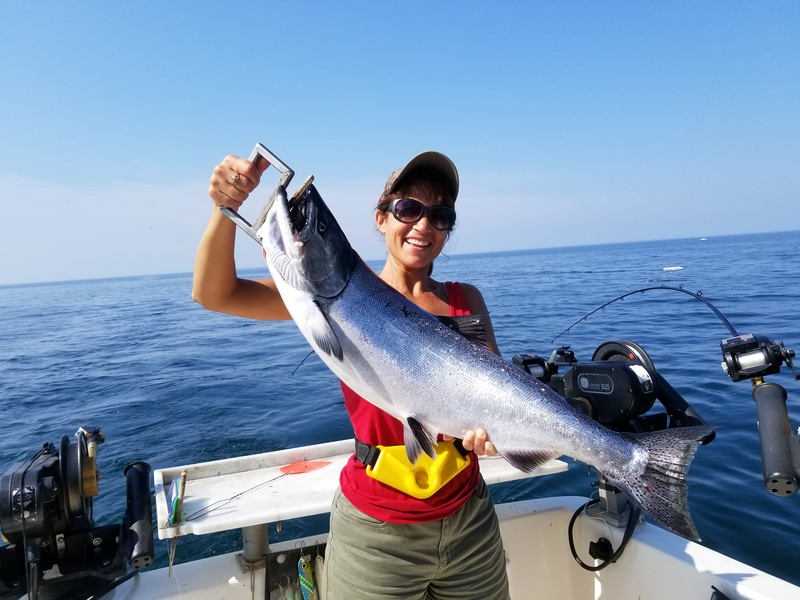 When it comes to successfully catching Great Lakes trout and salmon or any fish on the planet whether in standing or flowing water, shallow or deep, effectiveness of the presentation of a bait or lure is influenced by the sun. We all know the importance of light intensity,on fish behavior and lure selection, but what about the effect of sunlight in relation to trolling direction? 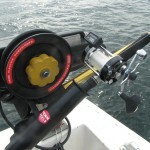 Aboard the Fish Doctor, trolling direction in relation to the sun and the angle of the sun are a major consideration. If you aren’t a believer, hold a colored pencil up against a ceiling light. You’ll see a black silhouette. Now turn around with your back to the sun light and look at the same pencil. You will easily see the color of the pencil and the print on it. Now, imagine a fish swimming up to a lure from behind and below it. If that fish is swimming into the sun, it sees a completely different image of a lure than it sees with the sun’s rays coming from behind it. 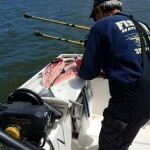 It’s a good bet that it’s also easier for a fish to locate a lure swimming asay from the sun . 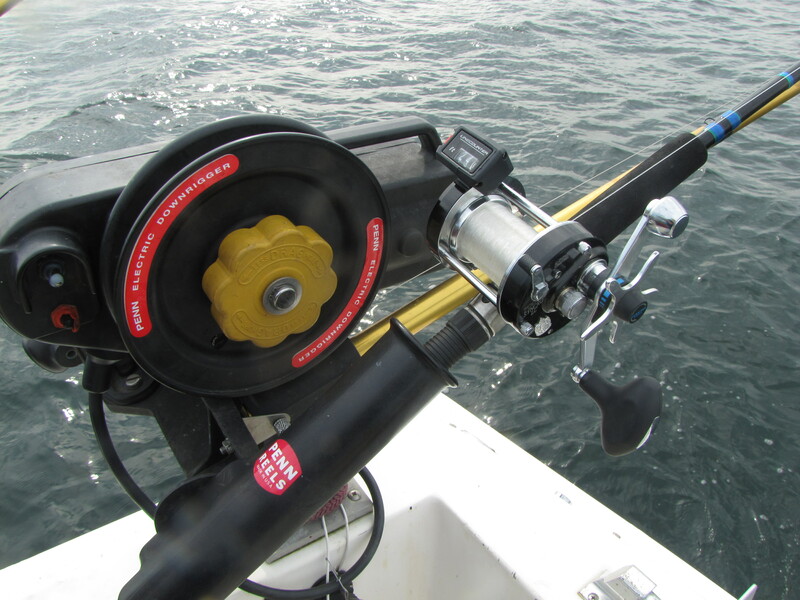 Based on many hundreds of hours trolling with an underwater Strike Vision camera at depths up to 100’, this is true whether trolling shall or deep. 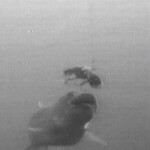 If you doubt this, ask an experienced scuba diver. I dove for many years while working as a fishery biologist. When diving from a boat, and returning to the surface, swimming away from the sun, the boat’s bottom was clearly visible. However, when swimming back up to the boat toward the sun, the sun’s rays were blinding, making it much more difficult to see. 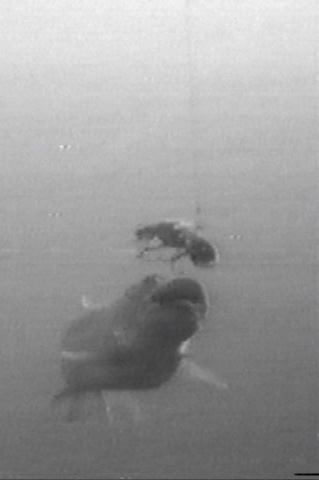 More than 30 years ago, when Fish Doctor Charters was still attending sport shows, I sat in the living room one evening playing some video tapes of my summer fishing trips, trying to find some good tapes showing fish being landed. I looked at tape after tape with the sun off the stern of the boat, the glare obscuring fish coming to the surface and being netted. 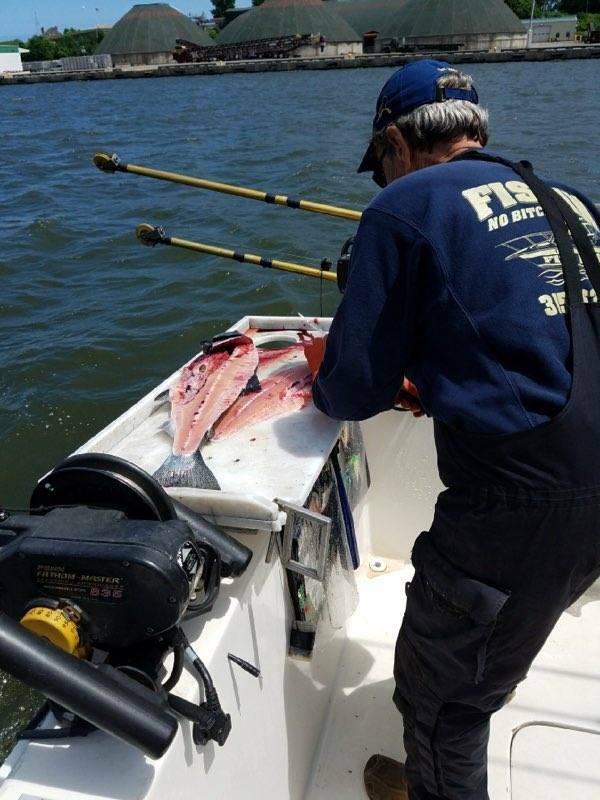 The majority of the tapes I looked at showed fish being landed with the sun off the stern, even though I was looking at midsummer tapes taken while fishing in 70 to 100 feet of water. Finally it dawned on me…, duhhh! We were definitely hooking up more when trolling away from the sun than trolling towards it! Years later, using an underwater Strike Vision camera pointing back toward the lure being trolled, my thoughts about the relationship between trolling direction and the sun were confirmed. With the sun off the stern of the boat and the camera directed away from the stern to view the lure being trolled, only the black sillouhette of the lure could be seen on the flat screen in my cabin. When trolling direction was reverse, trolling toward the sun, the lure and it’s color could be seen in detail. The same is true when casting, especially when fishing on or near the surface. Cast toward the sun and retrieve back to the boat and fish will have a better look at a lure than if you cast away from the sun. 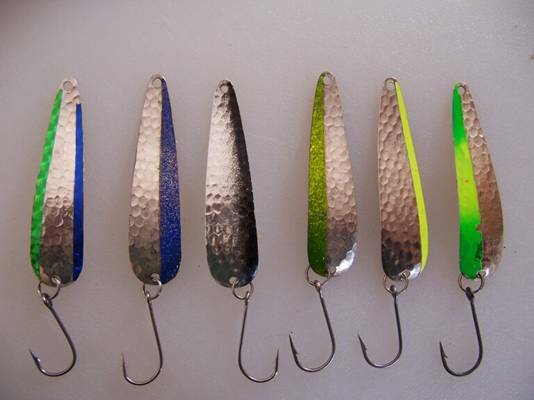 Lots of factors influence the effectiveness of the presentation of a lure or bait, but sunlight direction in relation to lure presentation is definitely one of them. .